How much time do you spend waiting for your computer to respond? Opening windows, launching your web browser, starting programs, even saving your work. Do you have to wait? No, you don’t. 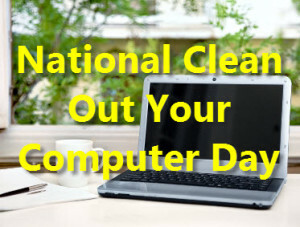 National Clean Out Your Computer Day originated from the Institute for Business Technology in 2000. Executed on the second Monday in February, National Clean Out Your Computer Day is a day to perform much-needed maintenance to improve performance on your computer(s). Here at Raxco, we have a series of shortcuts you can take that are as thorough as professionally cleaning out your computer. 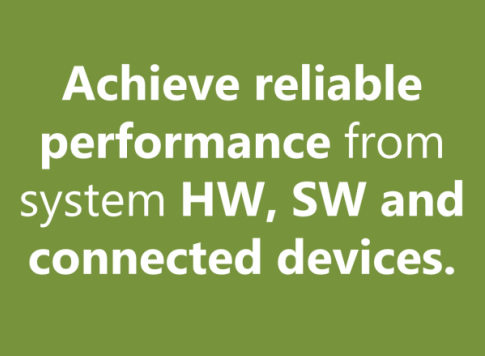 Why waste your time if you can automate your system performance-improving maintenance? No geeks required! As discussed in 15 Reasons to Optimize Your HDD, SSD or VM in 2015, we explained how file and free space fragmentation slows down your system’s response times. Let’s simplify that. Imagine your computer sees a complete document as fragments of data across your drive. It’s going to take a lot longer to access that document if your computer must go searching for that date in hundreds of places, rather than in a single spot. It’s like cleaning up toys in a day care center. If toys are scattered across the floor it will take a lot longer to clean everything up than if the toys were arranged in a single line. If your files are contiguous, organized in a single line, then it will take the minimal amount of time to access that file. But if your data is scattered across your drive, it will take additional seek time to find and open that single file. PerfectDisk keeps files contiguous – all in one place – according to the way your system sees the file. This dramatically improve system response times when you need to access that file or program when you’re using your computer and when you need to back up that file. Everything runs faster and smoother with PerfectDisk. Even on SSDs. 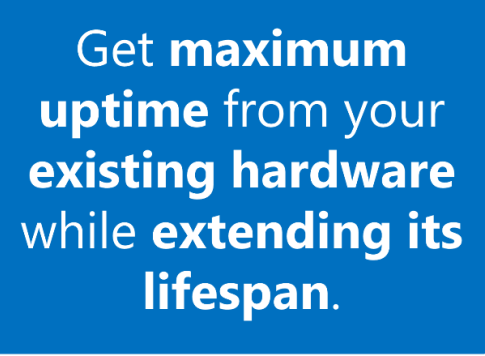 While SSDs have no seek time, fragmented free space slows down writes to SSDs. PerfectDisk’s SSD-safe optimization method, SSD Optimize, is designed exclusively for SSDs to reduce writes to the drive and minimize write amplification, which is the main culprit in shortening SSD lifespan. So besides keeping HDD and SSD systems running as fast as they possibly can, PerfectDisk extends the life of your drive, whether HDD, SSD or, in business, even virtual drives. PerfectDisk also runs in the background, when your system is idle, to avoid any impact on your system’s performance when you’re using it. It’s a no-brainer. If you’re not running PerfectDisk, you’re missing out on the best performance your hardware can manage. PerfectDisk is all about defragmenting files and free space, very necessary, but there is an area untouched by PerfectDisk, as it should be: your Windows registry. In Why Registry Defrag is Different Than Disk Defrag — But Equally Important, we explain how registry defrag and compaction is a two-part process. Part 1 of this process is defragmenting your disk – this is done by PerfectDisk. But Part 2 of this process is done internally on the registry. As you operate your computer, Windows and programs constantly query the registry for information. The registry becomes internally fragmented from the addition and removal of registry entries over time. This “bloat” slows down system boot time and Windows operation. While PerfectDisk provides faster disk access, PerfectRegistry defragments and compacts the registry, resulting in faster system access to your Windows configuration settings, faster boot time and general Windows operation. There you have it. Quick and painless performance maintenance for your PC for the 15th anniversary of National Clean Out Your Computer Day. What do you do to clean out your PC? Do you have any manual cleaning tips? Please do not renew my subscription to Perfect Guard when it expires. Please confirm. Richard, I removed your email address from this comment for privacy purposes. Your request has been processed. For future reference, you can cancel auto-renewing subscriptions from your order confirmation page or order confirmation email. Thank you!